With Tatueye you can express your personality trough your eyewear. Choose your favourite model, personalize it with an image of a color of your choice. There are no limits for your creations! We invented a new way to choose your eyewear. We know that personalization and style definition are the new fronteer in fashion. That's why we created 100% customizable glasses: to give you the freedom to express yourself, using only the finest materials and the most innovative technology in the field. Choose your style, become unique with Tatueye. 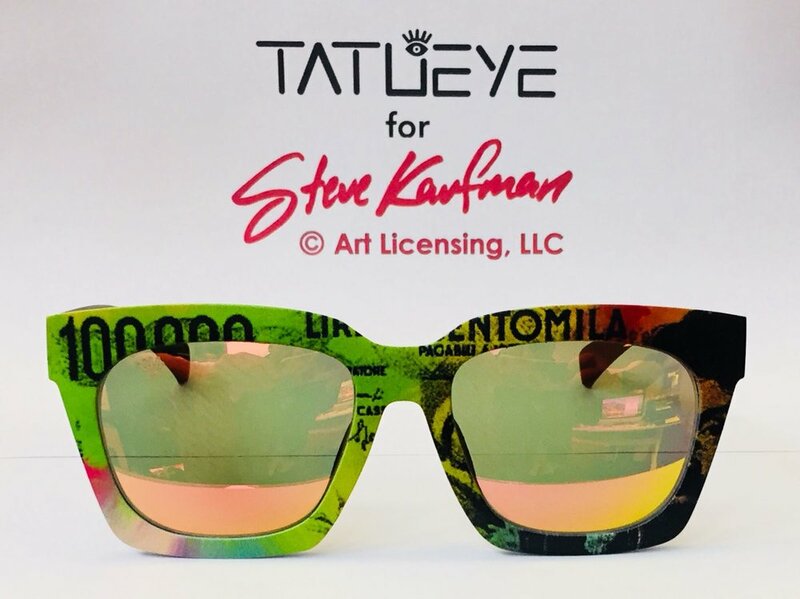 Tatueye for Kaufman is a project born from the creativity of Alberto Panizzoli, collector and pop art enthusiast, Diana Vachier, manager of © Steve Kaufman Art LLC and entrepreneur Fulvio Venturi, who always has brought his passion for design into fashion. 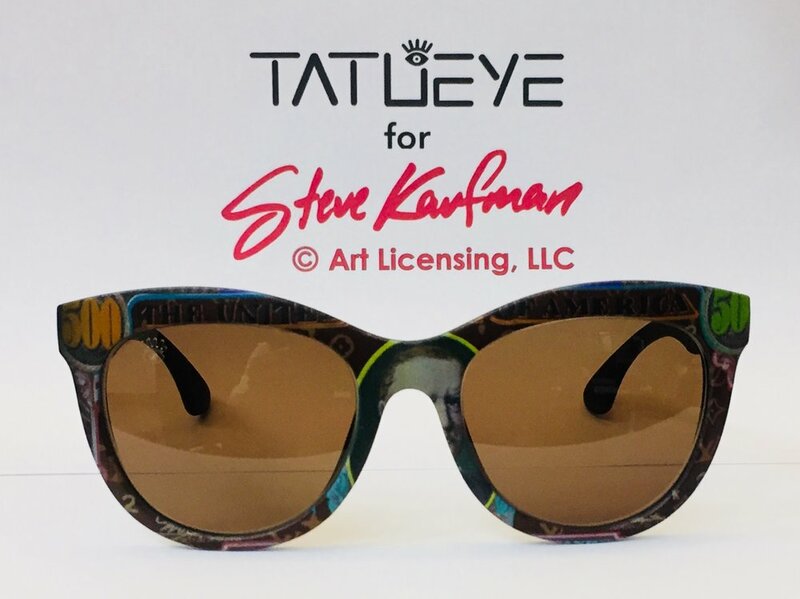 The project aims to create a collection of eyewear that embraces this free culture created by Steve Kaufman. Our limited edition collection will be presented at the Kleeee Artclub - Pop Art Imperial event, hosted by Michael Holeschofsky, in the Gloriette of Schönbrunn (Vienna). 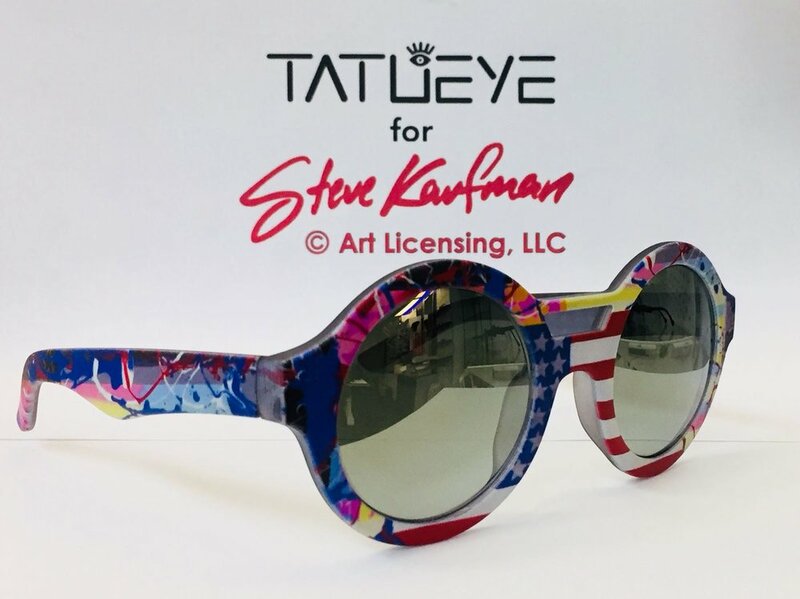 We will go even further: using the creativity and freedom that steams form pop art we'll personalize our eyewear following the desires of our customers. 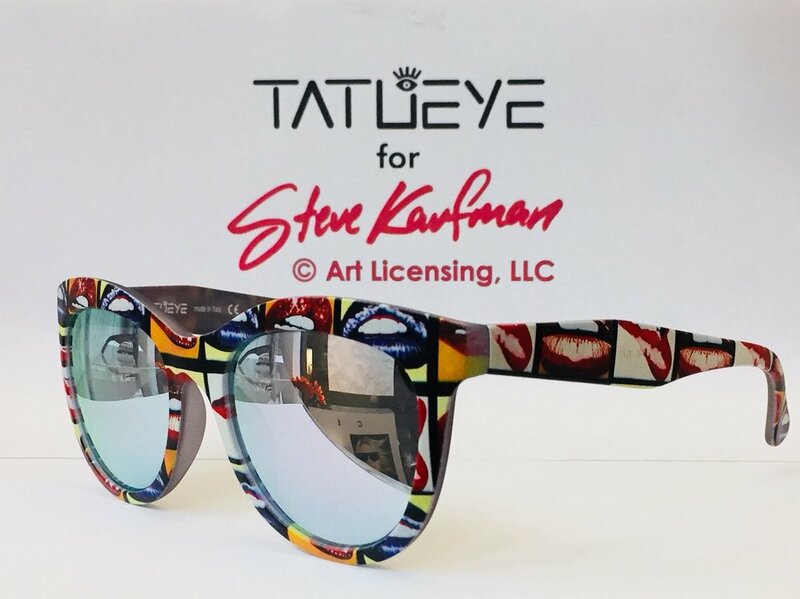 This is Tatueye for Kaufman: freedom and creativity to create unique styles. 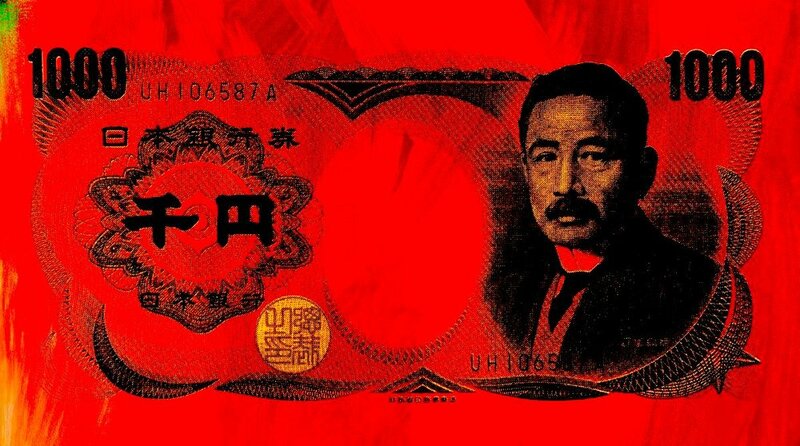 We have created a special edition inspired by Steve Kaufman’s art. There are only 10 models for 7 different styles that will be available at the event Pop Art Imperial in Vienna. Each model will have a unique serial number. When the stars shine in Rome fourteen new models will present the new collection pret-a-porter 2018/2019 designed by Luluredgrove. Inside the beautiful Grand Hotel Via Veneto we will witness the colors and precious materials designed by stylist Giuliana Crivello, who masterfully created a line of clothing for a modern, progressive yet mannerist woman who can’t renounce made in Italy. 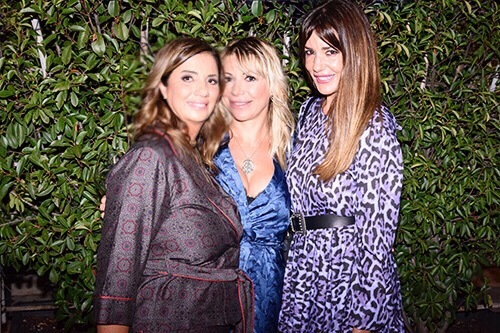 Many vips will attend: Alessia Fabiani, Anna Safroncik, Katia Pedrotti, Tania Bambace and many others. Models will also present a new line of Tatueye glasses which will reproduce Chez Giuliana’s design. Makeup and hairdressing by studio Baldestein. The event will be organized by Daniela Palese Acampora. This exclusive event will start Wednesday 12 September, 7 pm. Quality and precision are our goal. We developed the best technology to render color, textuers and shapes. We can apply any image on your glasses or sunglasses and print it in only seven minutes. Do you have any question for us? Write us here and we'll respond you.